A couple of months ago a student gave me a cap embroidered with the words “Theology Matters.” And so it does. I fervently believe that theology must not be an arcane academic pursuit reserved only for a few super-nerdy types. Rather, theology exists for the sake of the church and its mission. It exists to assist ordinary believers read and enact Scripture in authentic ways, together, and in their own locale, as a local body of faithful disciples of Jesus Christ. I love the way reading and studying Scripture and theology has deepened my faith, broadened my vision, enriched my ministry and changed my life. I hope that what you find here might help you along a similar path. 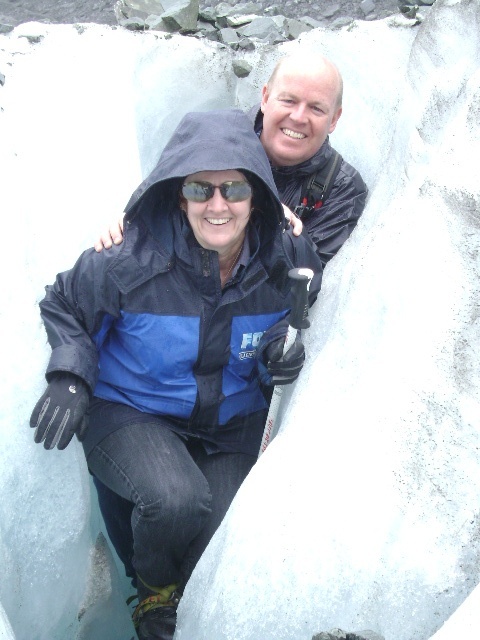 A bit about me: I have been married to Monica for over thirty years now and we have served in various pastoral, teaching, missions and leadership roles for the whole of our lives together. We have three incredible adult children who with their partners, are the delight of our lives. For the last few years I have taught theology and overseen the research degrees programme at Vose Seminary in Perth, Western Australia. In 2013 my first book was published: Church as Moral Community: Karl Barth’s Vision of Christian Life, 1915-1922 (Milton Keynes: Paternoster, Kindle or hardcopy). I can say that without a doubt, it is the very best book I have ever written and well worth a read! Came across your excellent article in the Church of Christ Newsletter, which led me to your blog. Now that I’m here I’m interested to hear anything you have to say about this vital subject, ie. “Theology Matters.” It also peaks my interest in your book, ‘Church as a Moral Community, mmm, must get hold of a copy. BTW, thank you for the gracious way that you are engaging comments from members the LGBTI community in response to the C of C article. Margaret Court would have done better by being aware of your gentle advice than jumping into the debate with such inflammatory statements. That’s not to say that she is entirely wrong in her conclusions, but she could have been a little more discreet. Grace and Peace in Jesus, Trevor.